Every good business leader wants to find, attract and hire outstanding team members. But relatively few employers have the hiring process all figured out. Recently, a coaching client of mine experienced this firsthand. While interviewing a candidate for an opening at his retail store, he sensed some major red flags. The candidate asked about the hourly rate right off the bat, how few hours he could work, and how fast he could earn more than the starting rate. This guy really seemed to just want to do the minimum, collect a paycheck, and go home! My client was right—this guy did raise red flags in his interview. And this was definitely not the right guy for the job, but I wanted to know how my client got to the point of considering him to begin with. When I dug a little deeper, I discovered the cause of this disappointing interview. “Well, you got exactly what you advertised,” I said. Hiring the right people depends more on you as the business leader than it does on the people who walk through your door. You’re in control of how you promote the position and where you look for potential team members. It’s kind of like fishing. When you go fishing—which I don’t because I can’t be quiet that long—but when someone that does fish goes, you use a certain kind of bait depending on what you want to catch. You also go fishing in the right body of water to get the fish you’re after. In other words, you don’t go looking for swordfish in an old lake in Alabama. You won’t find it. Now apply that concept to business. Your strategy for hiring the perfect person shouldn’t be to post a generic job description. You’ll get anyone and everyone interested in those surface-level tasks. Instead, think of your ideal candidate. Who are they? What stage of life are they in? Why would they thrive in this particular position and company? Where do they hang out? Then go to their lake and get to fishing. When you get there though, don’t just use any old worm. Use the right lure to attract the right candidate. Sell your vision. Promote your purpose. Invite this person into a crusade and a calling. Invite them to do work that matters. Make your recruiting so targeted that anyone who doesn’t think or act or work like you’ve described immediately dismisses your post because it’s not for them. This helps you weed out the ones that won’t fit and find the best candidates for your interview process. So if you’ve had some lousy interviews lately, the problem may not be the fish. The problem may be the lure you’re using or the pond you’re fishing in. 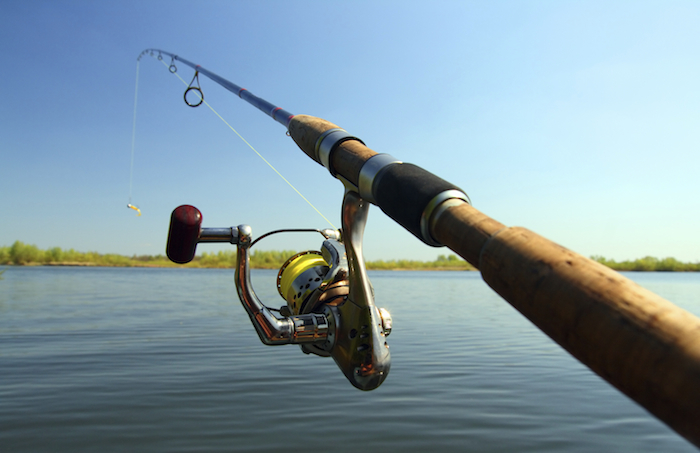 Because when it comes to business, you’ll catch what you go fishing for. “Well, you got exactly what you advertised,” – Love it. A couple years ago I started writing job descriptions to exactly your point. They basically start out with all the reasons that would disqualify a candidate for the job. After a brief introductory and bullet point list of skills I talk about high expectations, lots of hard work, no prima donnas etc… The mention of benefits and perks comes last. It is a built in filtering system. I want candidates to pre-screen themselves. Excellent point and example, William. This post was excellent inspiration for two job postings I’m writing today. It helped me think about whether I was using the right lure in the posts. It is amazing how sometimes the simple questions offer the best results. As Dave would point out he gets paid well for offering common sense advice. When you point out, “think of your ideal candidate.” and “Use the right lure to attract the right candidate.” you sum up this simple advice that is so important to ask whenever we try something.